Storming Donkey Productions | The Little Fish and the Crocodile wins! 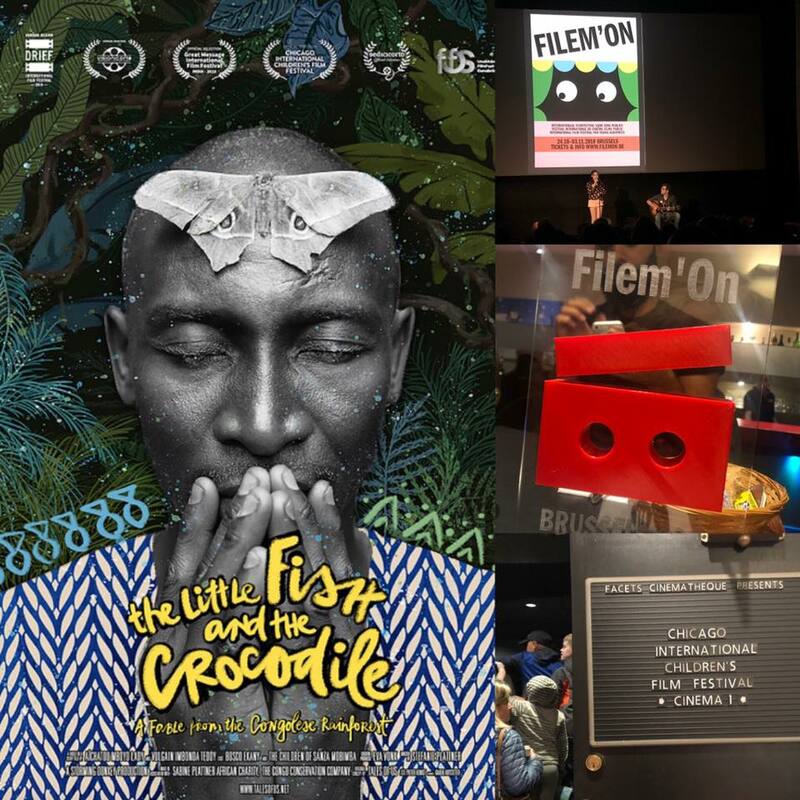 Home » News » The Little Fish and the Crocodile wins! Yeah! We had some trouble believing it at first but we won a price in Belgium this weekend! The Filem’On – International Film Festival for Young Audiences in Brussels has a great section in their festival called “Mundi”. This category shows a selection of films, features and shorts, that all set out to celebrate diversity and bring different cultures closer together. The Jury of the Mundi category has crowned “The Little Fish and the Crocodile “ as the winner of the shorts category. We are happy and proud and can´t wait to see what happens next. Since our beautiful exhibition in the museum has officially ended 2 weeks ago, we have now started traveling around the globe with the film and the book. Next stop is the Chicago International Children’s Film Festival.